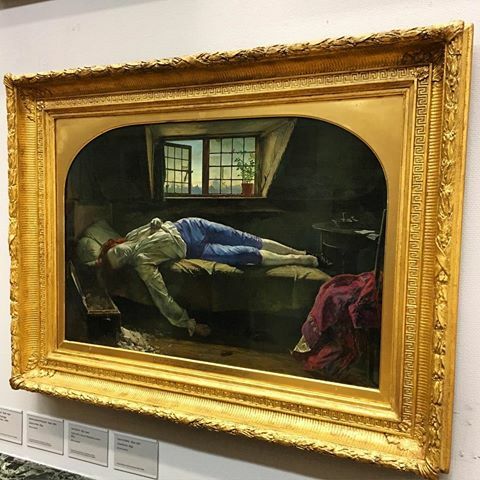 Within the walls of Birmingham Museum and Art Gallery is a small copy of Death Of Chatterton By Henry Wallis ( The original is in The Tate Gallery), it is housed within a gilded ornate frame that almost devours it but also seems to add to its macabre beauty. 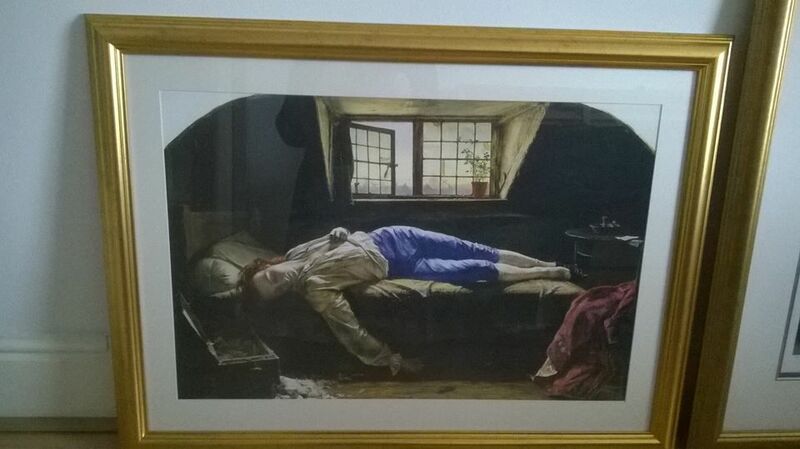 Many years ago I came across this oil painting and immediately fell in love with its drama, the colours and the uniqueness of the subject within it . Last year whilst perusing the Art section on Ebay ( You'd be surprised at some of the wonderful things that pop up there at times) I happened upon a large print of this work - it arrived within the week and was framed shortly afterwards. I know its not an original in any way, shape or form but I also know I don't care ....I just love it! And I think that's all that matters to be honest , forget worth, forget status - does it make you happy? Does your heart leap when you look at it? Also there is this discussion...I am loving Austin27 !!!! Whatever the truth, it makes me love the small copy hanging in Birmingham's Museum and Art Gallery more- and very proud of my print ! Is there a favourite exhibit or work of Art you love visiting?